California will soon join Colorado, Illinois, and New Jersey in banning plastic "microbeads," or tiny plastic spheres of less than 1 mm in diameter, commonly used in personal care products. 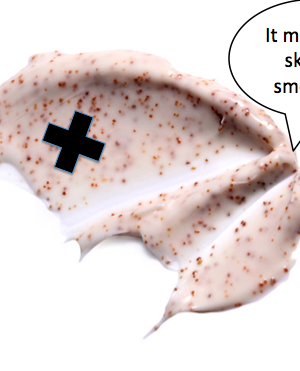 Minnesota also has anti-microbead legislation in progress. So what's up? Do politicians really hate exfoliation? We couldn't find any California lawmakers to comment on the state of their skincare, so we actually can't answer that. The reason for the recent bead bans, however, is less aesthetic and more environmental. Since they are designed to wash down drains, microbeads...wash down drains. (Don't feel bad, we didn't see it coming either). Their small size prevents them from being filtered out by water treatment plants, meaning that they wash into waterways en masse. Once in a river, lake, or bay, plastic microbeads absorb pollutants from their surroundings. Aquatic animals mistake the beads for fish eggs and eat them, along with the acquired toxins. Unfortunately, plastic is very slow to decompose, and can't really be digested, meaning that they persist in the environment for decades. That's even longer than a weekend shower.